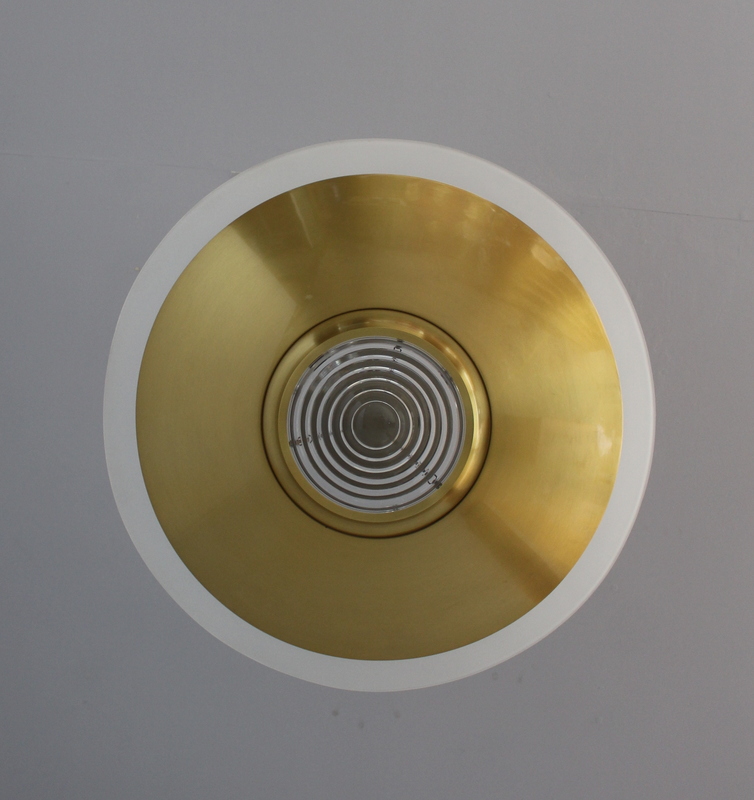 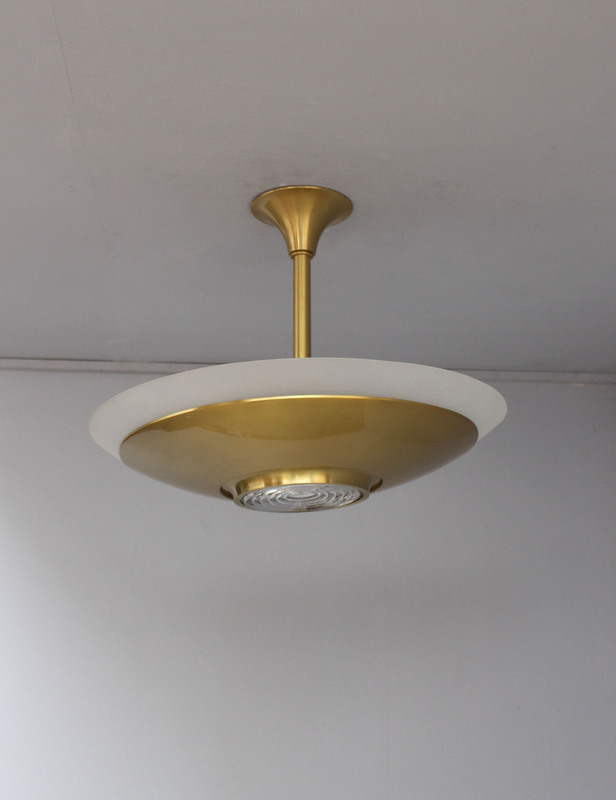 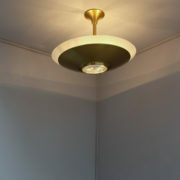 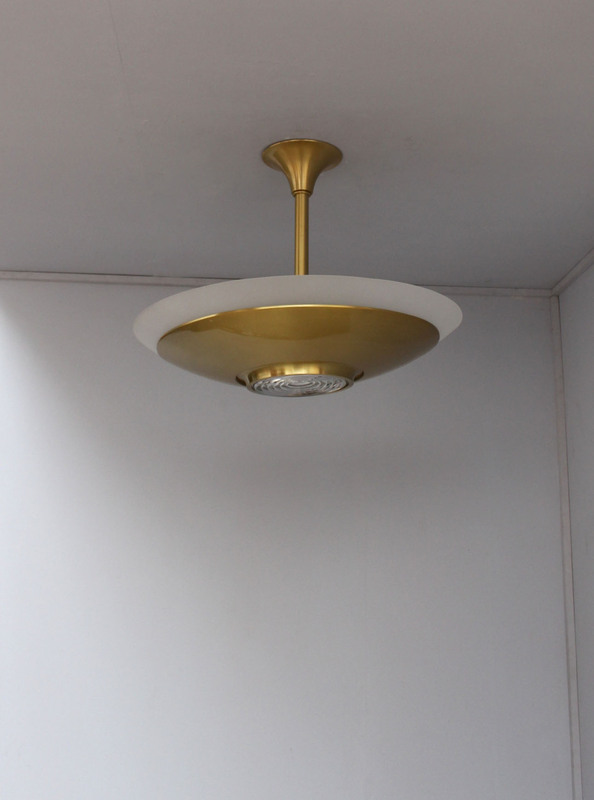 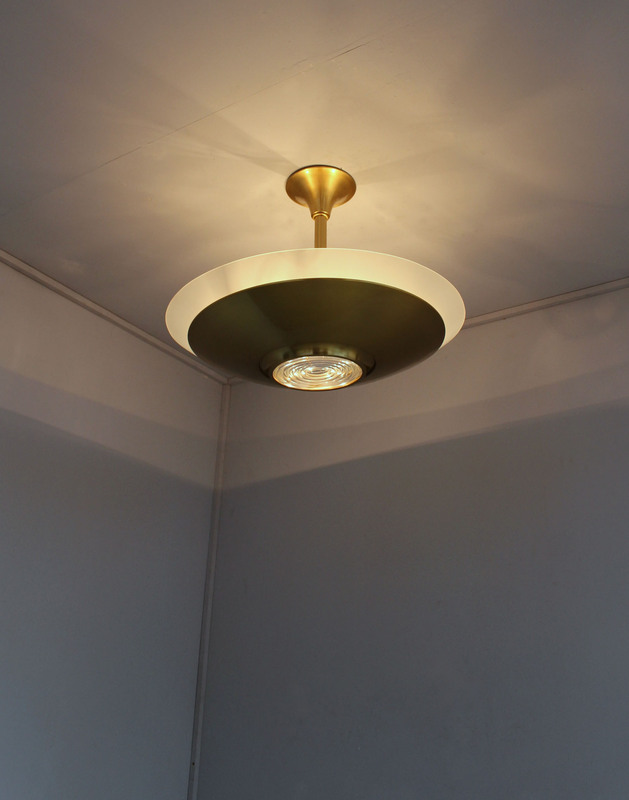 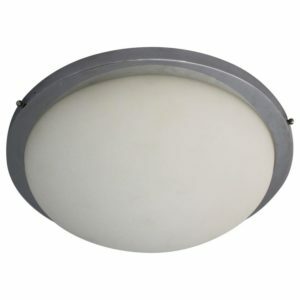 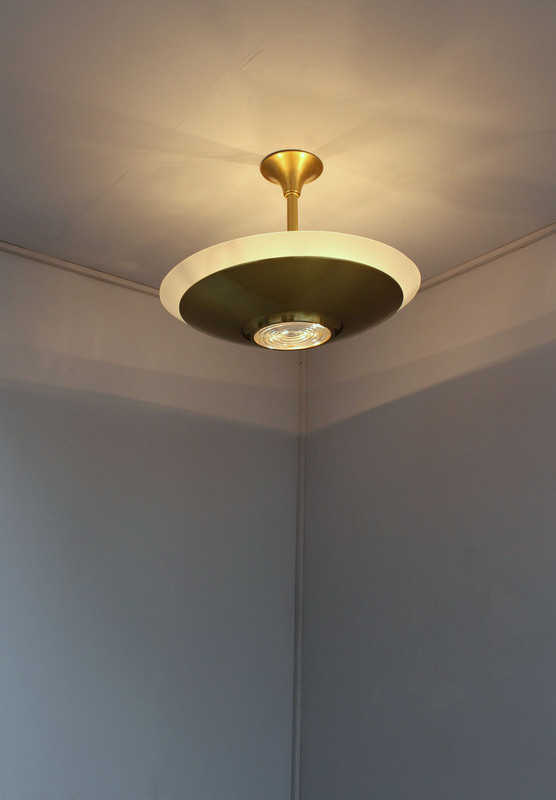 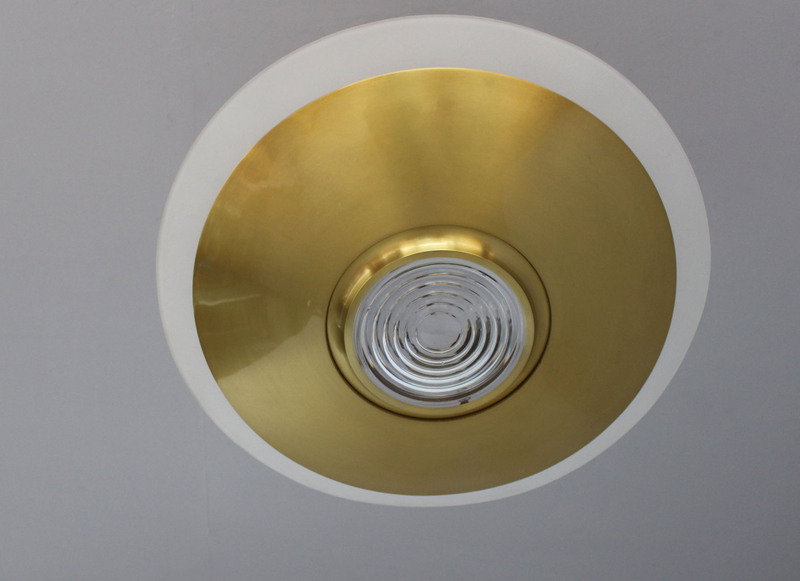 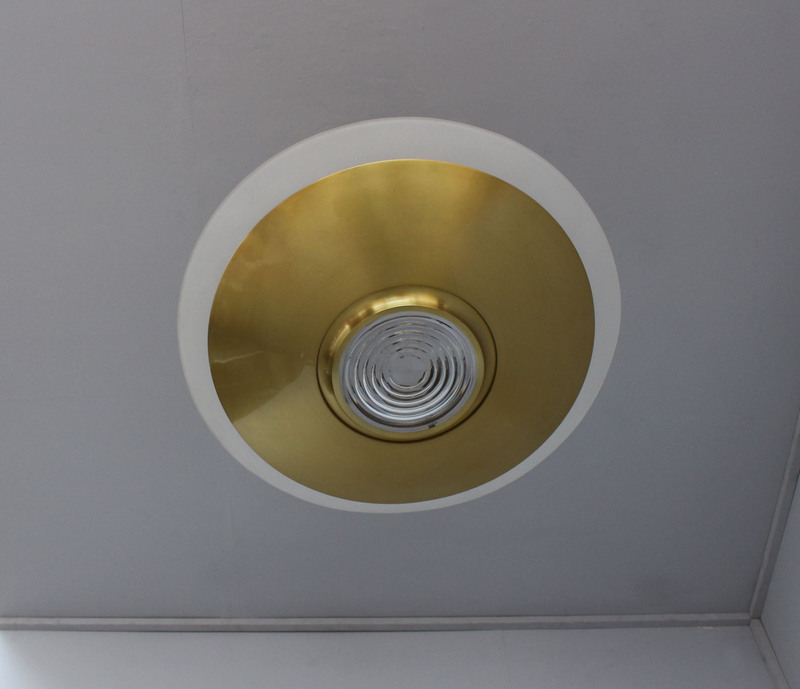 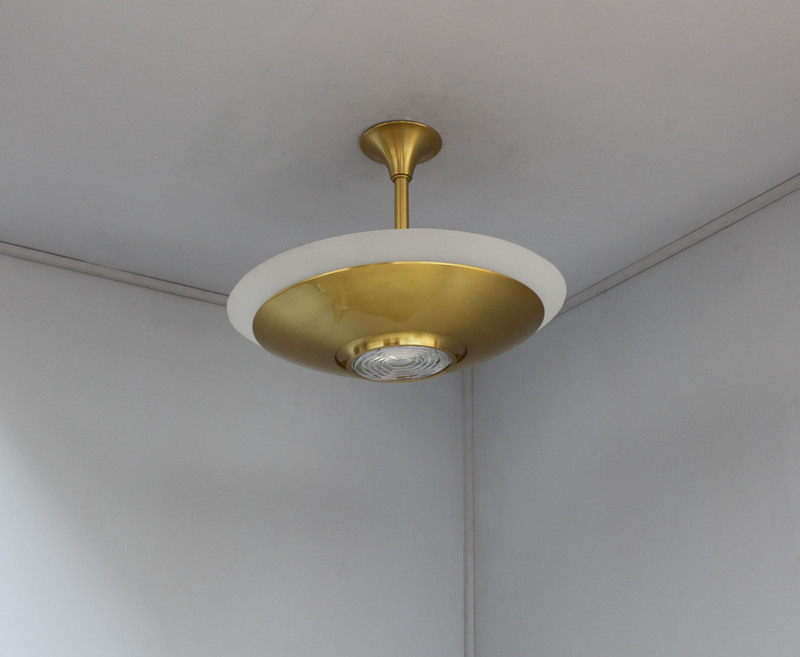 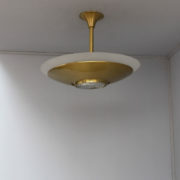 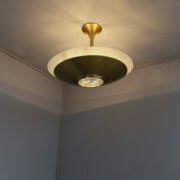 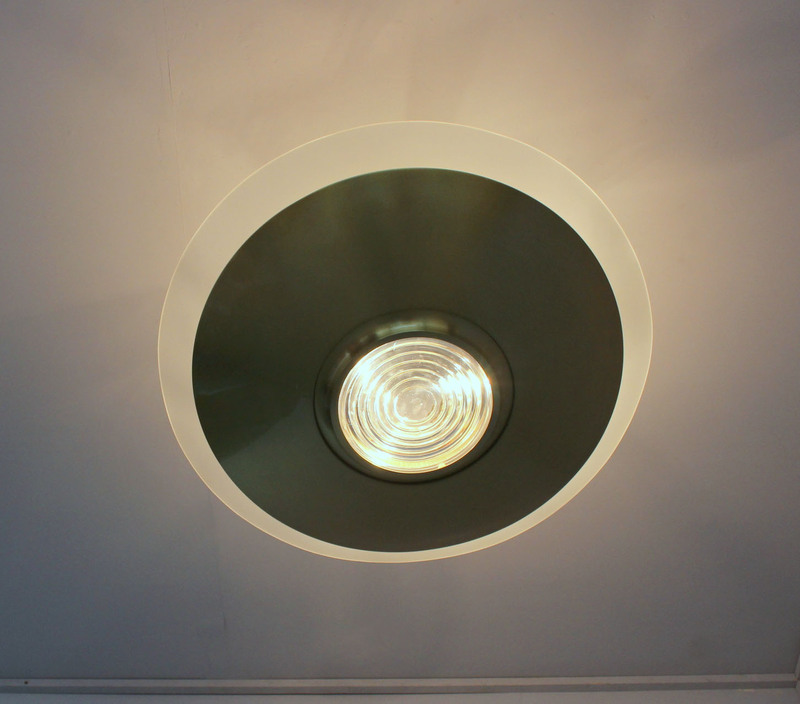 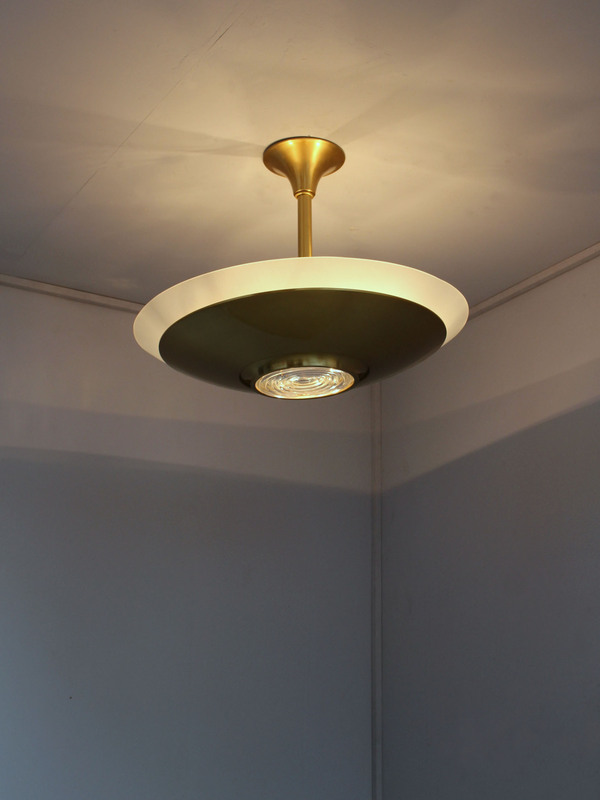 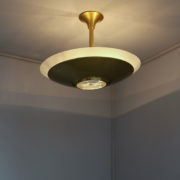 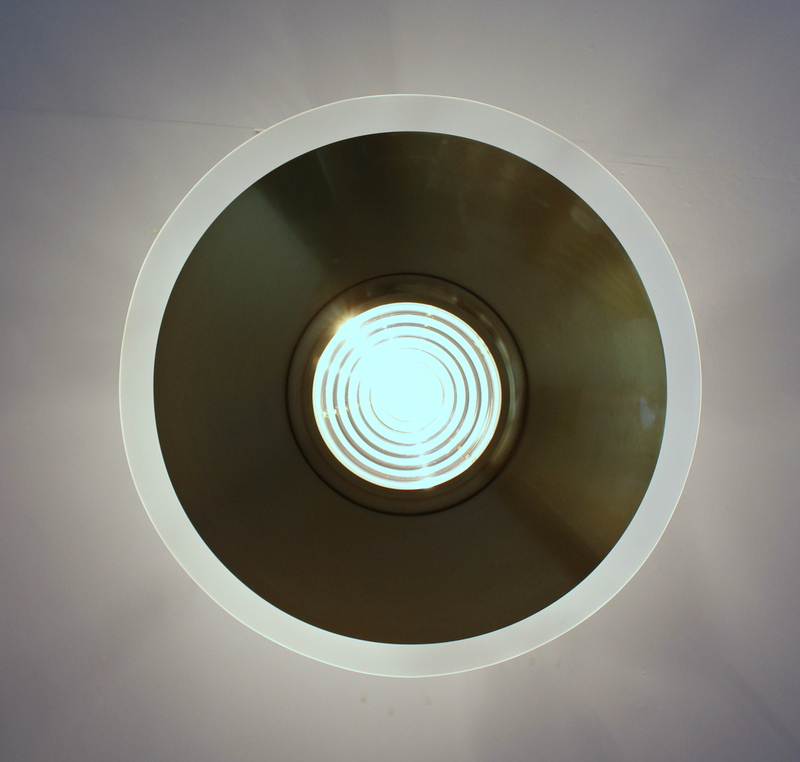 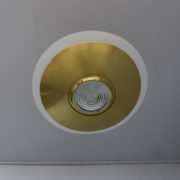 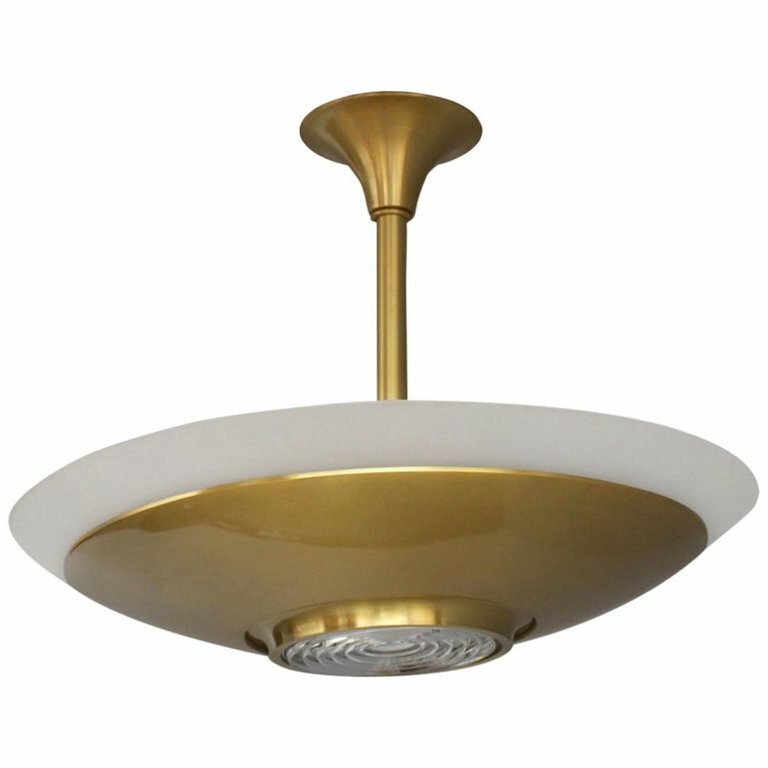 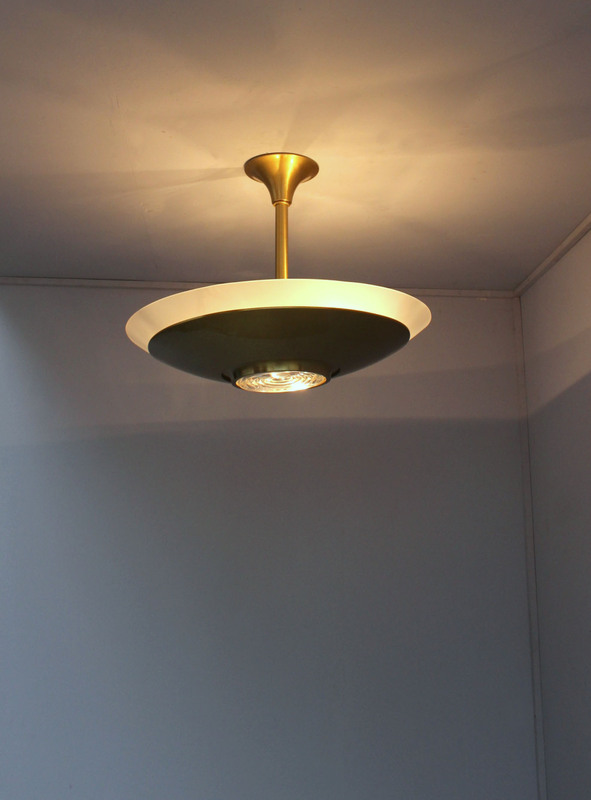 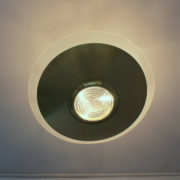 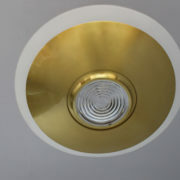 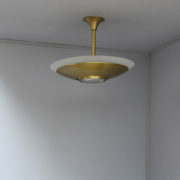 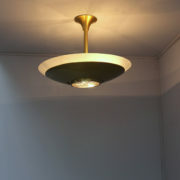 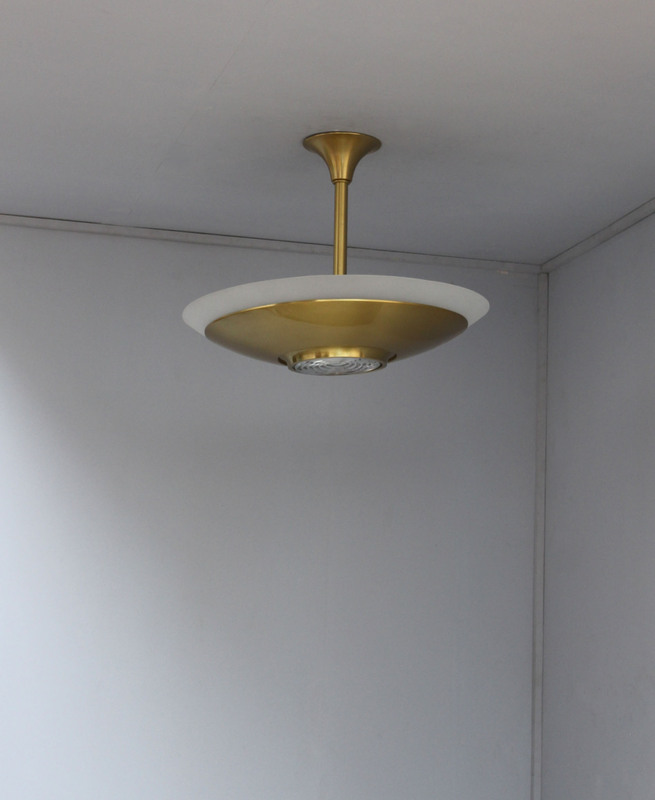 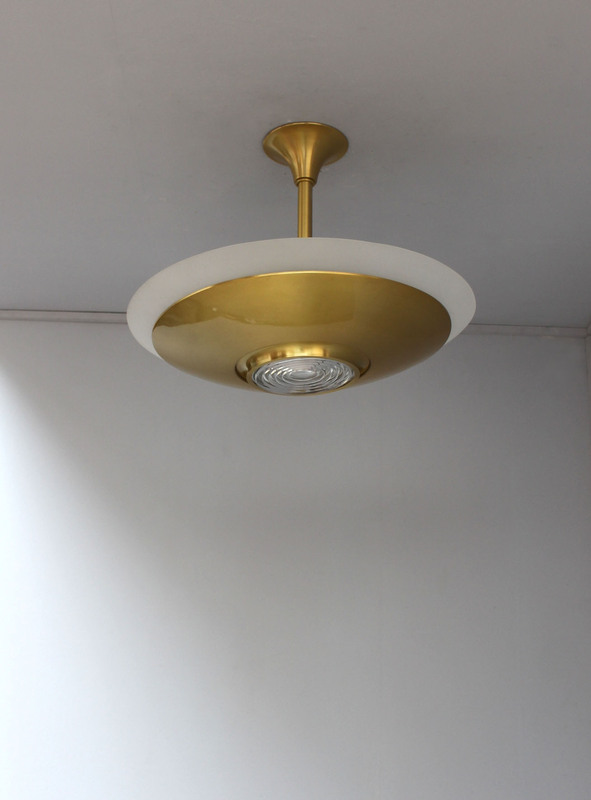 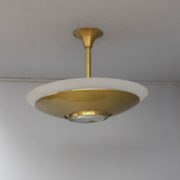 A Fine French Art Deco chandelier by Jean Perzel with a convex frosted glass diffuser sitting on a brass bowl and a center prismatic glass lens. 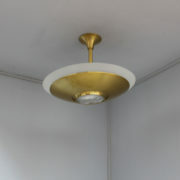 Very good all original condition, brass parts re-polished. 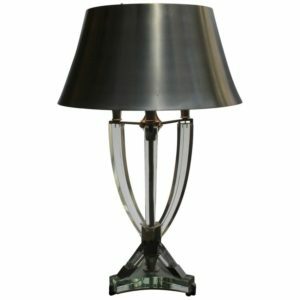 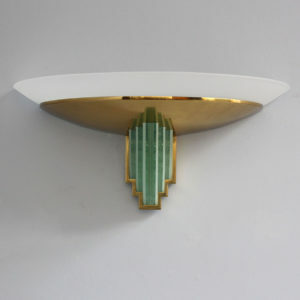 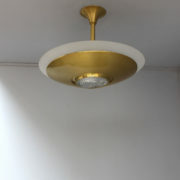 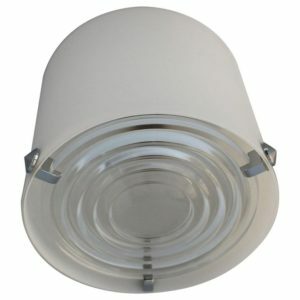 Soyez le premier à laisser votre avis sur “A fine French Art Deco Brass and Glass Chandelier by Jean Perzel” Annuler la réponse.